April 30th we drove to Edmonton for a half day course to be held on May 1st. It was the last course needed to get my safety certs up to date. The course was held in the training centre behind the union hall so during the break I slipped over and picked up a dispatch slip for a job starting May 16th. After the course I called to arrange a drug test. The first test time available was early the next morning and we drove back to Meadow Lake after that. Back home I spent a couple of days finishing off the trim and supports on the new Jefferson stairs and then puttered around the property trying to get a summer’s worth of chores done in the likely event that I would be in Edmonton for most of the summer. Sonja, Sasha and Kohen are all taught by the same piano teacher. She organized a recital for her students at the E-Free Church and parents, grandparents all gathered to snack and listen. The music was enjoyable as was the visiting before and afterwards especially with a few people I worked with for years at the pulp mill but hardly ever see now. The high school band held their annual concert. We went and listened since Sonja and Sasha were involved. In process terms, high school band seems to be a hybrid, continuous-batch process with ingredients at discrete stages of development but also being moved forward and replaced. Each year the fully processed are discharged from the community and replaced in the Fall by new raw ingredients. Interesting how the whole can be combined as a unit for the annual Spring concert. I am reminded a bit of a continuous brewing process I read about in a Process Control magazine. It had a few tricks to extract the product that was sufficiently along the way and a way to recirculate the yeast back to the beginning of the process. I guess if you don’t get things right the output can be a bit sickening like that wine we drank too soon in the fermentation stage when we were impatient teenagers. My feisty, late mother was at the Powell River Fair. The high school band was playing and somebody asked for a five-dollar donation to help send them on a trip. She said “Here’s ten dollars. Send them twice as far.” I come by my twisted sarcastic sense of humour naturally, I guess. Sasha is getting older, too. We celebrated that additional year with cake and gifts. Drove there on the Sunday, and work was scheduled to start Tuesday so Monday was a mini vacation running errands and going out to lunch together with Juanita. I thought it might be my last day of freedom for a while with only a day or two off a week with none for some weeks, but after only four days of adjusting to working on an industrial site a three-day weekend was announced in honour of the Queen’s Birthday. 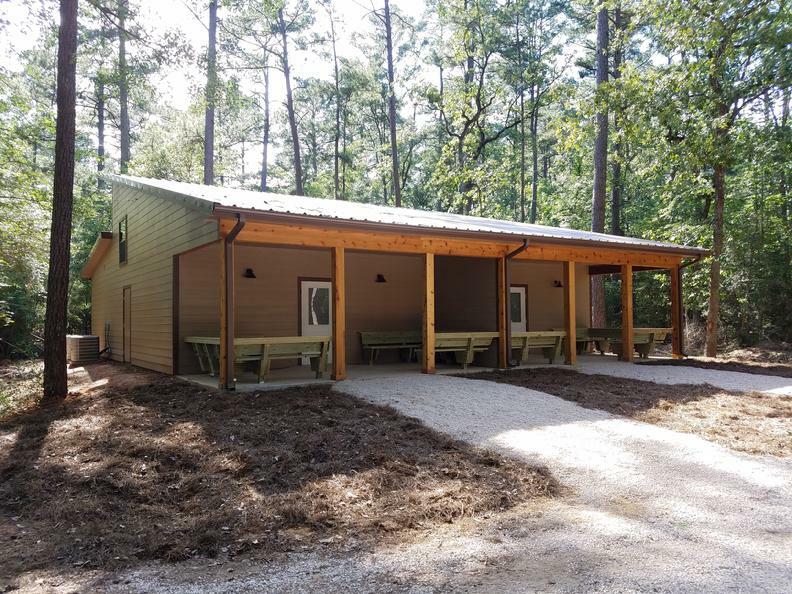 Joel Hendrix of Forest Glen Christian Camp near Huntsville was kind enough to send us some pictures of the completed dorms we worked on in March with the cedar cladding Juanita and I installed all nicely highlighted with coats of sealer. An inch of rain was forecast for the middle of the day in the middle of a working week so the work day was cancelled and I had a holiday at home. We went with the kids to their swim lessons and ran a few errands and dined out. One Saturday in Hawrelak Park the Kids with Cancer Society held an event called “Revving for a Cure”. The day was called Parade of Heroes. Each of the motorcyclists are fundraising and this first day is their chance to meet the kids they are riding in honour of and they give the kids free rides on their motorcycles. Ezekial named a teddy bear that will ride behind a lady biker. She didn’t feel comfortable having passengers, but her husband gave Ezekial a ride around the park on the back of her machine. In addition there were games with neat prizes, a bouncy castle, snow cones and lunch catered by Earl’s. We joined Rebekah and the kids briefly.